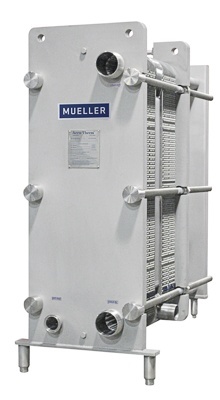 Our Paul Mueller Company plate coolers allow you to use your water supply to cut refrigeration costs. 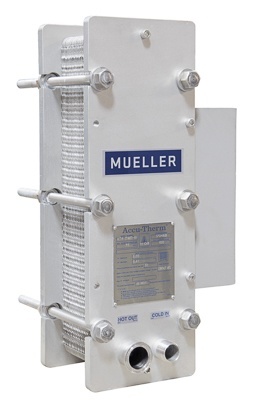 With the technology of our Accu-Therm® plate heat exchangers, your existing water supply can be used to precool warm milk before it goes into your milk cooler. The warmed water is then available for animal consumption at your dairy facility. Precooling milk reduces the time and energy needed to reach proper temperatures in your bulk tank by as much as 50%. 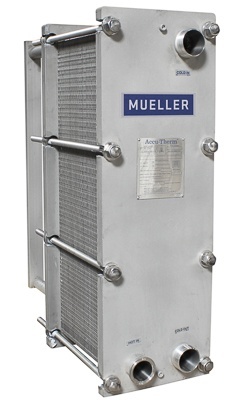 Our Accu-Therm® plate heat exchangers have a series of stainless steel plates compressed into a frame. 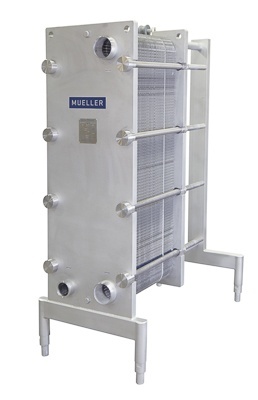 The plates are separated by gaskets that form flow channels on opposite sides of each plate. Cool water flows down the channel on one side while warm milk flows up the other side. The milk's temperature drops as it transfers its heat to the cool water on the opposite side of the plate. 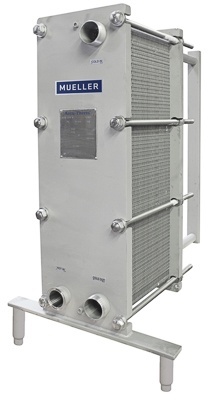 The plate heat exchanger's design provides extremely efficient performance for fast precooling in your dairy milk cooling system. Our cooling and controls systems for your robotic milking machines will free up more time for the things you care about. Multiple linked cooling systems for your robotic milking machines have several benefits, and milk quality is at the top of the list. Configure the best system for your space and get the most productivity out of every day and every robot. From the cow to the truck we understand your business path and can bring efficiency to every part of the cooling process. When your farm is growing and you need a plan for cooling and controls, we have the solution. For dairy demands 24 hours a day, we have reliable and efficient equipment to maximize your profits.